Driving Under the Influence (DUI) is a misdemeanor in Tennessee; however, prosecution for THIS misdemeanor is more severe and determined. The Tennessee DUI laws are complicated, and it’s important to have an experienced DUI attorney who has the knowledge, training and experience to fight your arrest for DUI. DUI is the only criminal offense where the officer’s opinion that you are intoxicated can land you in jail! If you’re arrested for DUI in Nashville or the middle Tennessee area, hire a DUI lawyer who knows all about the factors that can affect your blood concentration of alcohol. who understands how a breathalyzer works, and who familiar with the body’s ability to metabolize alcohol and drugs. If you have been arrested for driving under the influence in Nashville or the middle Tennessee area, you need an experienced DUI lawyer on your side. DUI cases are taken very seriously in all counties throughout Tennessee, and drivers arrested and charged with DUI will be prosecuted to the fullest extent of the law. By hiring experienced Nashville DUI criminal attorney Rob Turner, you will have a highly skilled lawyer who will build a tough defense and protect all of your legal rights. Under Tennessee law, it’s illegal to drive a vehicle if your blood alcohol concentration (BAC) reaches .08% or more or if you are under the influence of alcohol or drugs. If you are under the age of 21, the legal BAC is less than .02%. If you are pulled over and the police officer believes that you are driving with a BAC level above the legal limit or if he believes you are under the influence of alcohol or drugs, you will be detained. The officer will ask you to do the Standardized Field Sobriety Tests: 1) horizontal gaze nystagmus, 2) walk and turn, and 3) one-leg stand. After you complete these tests, the officer will read you the implied consent law, and advise you that if you fail to submit to a BAC test, then your driving privileges will be revoked for one year for violation of the Tennessee Implied Consent Law. BAC is determined using breath testing or blood testing, whichever the police officer chooses (you have a right to a different test at your expense). After you do the field sobriety tests, whether or not you consent to the BAC, you will immediately arrested, taken to jail, and charged with DUI. If you have been charged with DUI in Nashville or the middle Tennessee area, hire a competent, experienced DUI attorney familiar with multiple DUI resources and a variety of DUI defense strategies to use in your case. Nashville DUI lawyers at Turner Law Offices, P.C. have been practicing DUI defense law for over twenty (20) years, and are committed to protecting your rights at all times, relentlessly fighting to win your case in court. Call Turner Law Offices, P.C. 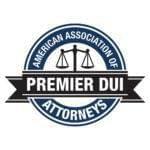 for a free initial consultation or request appointment online, and to speak to a DUI lawyer today!